In this first part of this series i will start by explaining why certain houses/Signs represent what they are labeled for in Classical texts by default. There specifications differ a little with different Ascendant lords but they are BROADLY more or less the SAME. So friends without wasting any-time let us begin with the first part or Chapter of the Series. After reading this Chapter you will know answers to these questions. A) How Astrology is an ACTUAL representation of the life cycle of EVERYTHING in this universe including US. B) How the 4th, 8th and 12th houses are doing the SAME function but at different stages of life. C) How 4,8 and 12 houses represent Dissolution and transformation while the 1st, 5th and the 9th houses Represent New Beginnings/orders, faith, motivation, Unidirectional-isms and Realizations of various Kinds. D) How they all relate to the Nakshtras in their ROOTS! E) Why they represent what they represent in Astrology! Okay, So here i will start with my 4 Assertions about this trio of houses i..e 4th , 8th and the 12th houses/signs in vedic astrology. 1) All 3 represent something Hidden, Secretive and Private. 2) All 3 represent in one or the other way, Renunciation and Transformation. 3) All three pave way for a New Beginning or a New order/Direction or Realization in our life. You can see only the surface but a LOT is present and going on under the surface which you cannot See. Cancer can represent the Surface of a Water Body, It is gentle to see, Reactive to all stimuli (Like if you throw a stone in it), All waves and responses are visible and interfere with each other. It can be stable or full of waves like in an ocean or huge Lake. But this Water Surface usually has Least Activity , Least Variation and most gentle to appear. Although there are tsunamis but their Origin is always DEEP in the depth of Oceans. While the Sign of Scorpio or 8th house can be linked to DEEP uncalm waters which are near a Volcanic Bed or Tectonic plates. These keep changing the Scenario, keep transforming the oceanic bed and position of earth's plates. There can be Slow transformations or Sudden transformations. But there are transformations, renunciation of the older order and formation and following of a new ONE. Again it is deep under the surface and cannot be seen from outside. It is a deep under the surface transforming but continuous fludic Medium. Then the Sign of Pisces and 12th house again represents renunciation of worldly connections and affairs and gaining liberation, isolation, privacy and Stability. It is represent the deep undisturbed ocean bed where nothing is going on and there is peace. It gives scope for peace, isolation and imaginations. Basic Education/Primary degree courses/finding a mate(love life) or to Create your own Children (5th house) (New Beginning/ Creation of the Creature itself. B) ANALOGY to these houses to PRIVACY, Dissolution, Depth, TRANSFORMATION and Beginning of a New order. A) The 4rth house is family and mother's care. It represents the mother and the comforts of the home. It represents our internal happiness. It represents anything we can Bank upon as our source of Comfort, Anything we can Rest upon. It is sort of our Back-bone by Birth. Our Basic Support system in the early phases of life when we are dependents upon our family and also something we can rest upon and feel safe at when we are independent. It can also be your girlfriends' home if you feel safe and homely when you after fighting battles of your daily life come there to rest in her comforting lap and find it very caring and loving and you lie down on a couch to rest and feel safe, secure and relaxed there. These are the Kind of places that make you feel you have a Place to go back to and hide or rest when all else is lost. Places you can bank upon, Places and People that are in your unconditional Support no matter what. Here you can see why 4rth house is a Water Sign and Why does it have Privacy and Depth. Now Why do you have transformation here in the 4rth house? It is very clear as i said,you Grow and Develop into a Better being , You change and develop at your home in your childhood. b) DISSOLUTION and RENUNCIATION of the Previous Order and "TRANSFORMATION"
c) Giving Scenarios and Situations for BEGINNING of a NEW ORDER. a) the Privacy and Safety and comfort of our home. b) We continuously kept transforming and Developing and leaving behind old values, views, wishes and ideologies. c) We developed a NEW Mindset, A Selfish and Self centered one, where We want to Go out and CREATE A NEW ORDER, We want to be Known and Respected, We should be the Smartest bosses, creating our own New Rules and Listen to NONE. (The Awesome TEEN Age Begins) lol. 8th house in all our internet texts and basic views represents Sudden ups and downs and sudden transformations. Obviously it is not gentle and loving transformation like CANCER (MOON) Sign where you transform in the tender, loving and caring privacy of your mother. It is a MARTIAN transformation, and it has to be a little Brutal and Quick. After facing all the Worldly Issues in your Self Centered and Selfish approach from Leo to Libra( Status, Analysis, Doubts, ONE TO ONE RELATIONSHIPS and Business demands) your Brain finally develops a sense to learn that all this is such a tense and childish drama. This Sign/house is not Comforting as i said, but it transforms you for Sure. Why is the 9th house representing Higher Education, Knowledge of Holy texts, Religion and Sense of FORTUNE and Higher Teaching of our GURUS. Because only after Give up your Status,your Relationships and Wordly Connections can you isolate yourself, undergo TRANSFORMATION can you achieve a Higher Sense of Wisdom and Knowledge. Only after you see from above after quitting your selfish narrow interest, only after observing the world around you, and dealing with other people can you realize if you are fortunate or not. You get higher wisdom, higher education after living and quitting all this and transforming yourself. When you live in this world in your Youth, You have made beliefs, views and targets which transform and you gain higher wisdom. Now here we see again the 3 THINGS of this trio. a) PRIVACY & ISOLATION: 8th house Represents processes occurring deep under the surface. But here these processes involve a lot of Energy and Pressure.When You are Grown up and Have developed a Riged Mindset , obviously it requires a LOT of HUGE Ups and DOWNS, and Huge transformations, SUDDEN UNPREDICTABLE and UNCONTROLLABLE Events of High intensity and INTENSE REACTIONS to make you realize things and transform you to a Higher wisdom. CONSIDER this analogy, IN any CHEMICAL REACTIONS occurring in Chemistry. e.g A + B -----(8th house)-----> C + D + (+/- Heat/energy) Energy may be absorbed or may be released to finally form a Strong and Stable end Product. A lot of Bods form and break, and Energy changes etc go on under the surface to form the final product. The Signs of Leo, Virgo and Libra represent A and B and the Sign of Sagittarius represent C + D + Energy (The final Product). We only see what was and what is Produced or left in the end. But what happened under the surface, all the steps of the chemical reaction, the free energy changes, Entropy changes, the Pressure changes, the ups and Downs in Energy level of all atoms during the process, the bonds they made and broke and re-made to finally form the most stable and Stronger Product are all the processes Hidden from us. Although the Participating Molecules know it. And we can see the end results. Now 8th house has changes at a stage of life cycle when we need, Aggression, force, wen we either want to realize what is going WRONG and change ourselves into better beings or we want to AVENGE those bad elements / demons both within ourselves and in the world by becoming wiser and better beings. Hence it more of a Martian energy in a Medium of transformation from where we again GET OUT as NEW Beings of NEW Mindset and NEW ORDER/REALIZATION in Sagittarius. 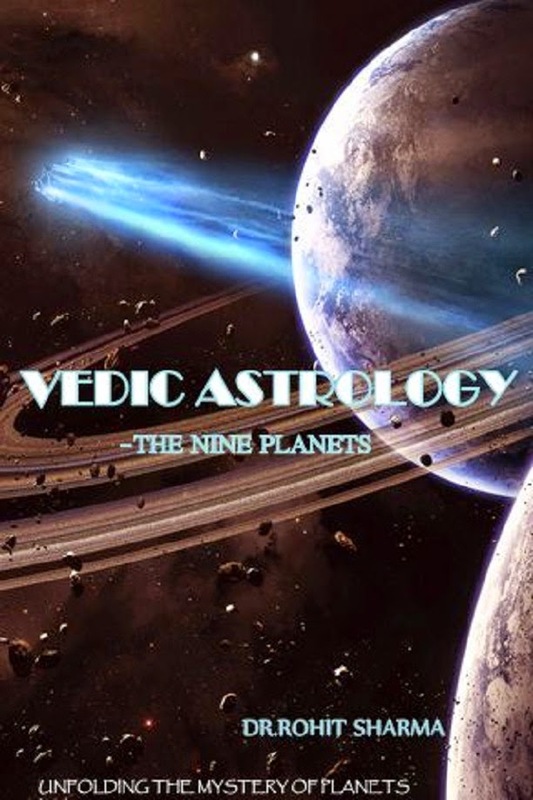 NOW Why does the 8th house represents, Oil, Gemstones, Diamonds, Mines, Minerals, Sudden ups and downs in life, Accidents, Dowry, Casinos, Gambling, Inheritance, legacy and Natural calamities. A) Privacy and Isolation: All the above events and changes that bring about the above events are hidden. B) Dissolution , Renunciation and Transformation: There is breakage and destruction of the old to form a new and better order and ideology. C) Beginning of NEW order/NEW REALIZATION: We see how here transformation leads to a new form and a new state and a new ideology. but here due to Martian involvement and also because we are a stage in our life where we have already renounced the home care and tenderness we need to struggle and face things the harsh way. You can take the example of a Diamond to understand the 8th house. It is COAL to begin with. After facing of years temperature changes and High Pressures and buried deep inside the surface it finally transforms into a Diamond*. Same is the case with Oil and all natural resources. They were not born that way. They faced pressure and changes in their environment under the surface hidden from the world and changed into what they are today. P.S: "We can see that MARTIAN Sign and MARS energy give an earth and Fire energy/element also to this House and Sign." NOW after reading the above paragraphs you can easily understand WHY the 8th house represent all these and why it has ANALOGY to a) WATER MEDIUM (because allows B) dissolution, change, transformation in A) Privacy/SECRECY and isolation and Allows for C) the EXIT to a New world & Order Later on) and how the 8th house is also the 3 things of this TRIO but with a different Situation and Energy involved. It is all because of a different Situation and a Different Part of the LIFE CYCLE of EVERYTHING on this Planet. We need energy and Action MARS to transform at this stage of life. but it must be hidden so that we are safe during the process and COME BACK as better people capable of Winning and living well. Then one enter the "MOOLA" Nakshtra, in Sagittarius, a Higher being , with higher wisdom , NEW Person, WISER, HAS HIGHER KNOWLEDGE, Aware and Experienced with NEW VIEWS about life and the world but AGAIN ONE is Rigid and unidirectional Views. Hence just like like "Ashwini" and "Magha" (in ARIES AND LEO), WE ENTER A NEW CYCLE and a New Order of life where after our experiences and transformations in this world we are now Better and learned beings. We now again have a New MINDSET and New ideologies, Not self centered, not selfish, We are wiser and more learned and Changed people and beings. Again Ketu is always the NEW unidirectional and Focused Beginnings. The SIGNS & houses / SITUATIONS change but the Basic Nakshtra / Direction is the SAME.
" 1, 5 and 9 Always represent NEW Beginnings and NEW ORDERS of Different Kinds at different Stages of life, in different situations but all of them begin with KETU ( Zeroness or ONENESS, rigidness and unidirectional focused motion). " "Ashwini' is Unidirectional and Focussed in an impulsive way to come into being, to start the "creation" to come into existence. 'Magha' is Already into being, It is Rigid , focused and unidirectional to Assert its existence and the ideologies it learn in 4rth house/family (a tranformation into an adult) as being the most RIGHT and GENUINE and Prove itself as RIGHT, prove itself as the King. I fact it knows i am the King and I am the RIGHTEST. They are the most Confident Kings or PEOPLE. It is only when in PPh (Venus=Relations and Harmony) that they learn oh There is more to the world. Anyhow and then in "MOOLA" one is Focused and Wants to Stay in this state of higher Knowledge & Wisdom in a Very Rigid way. One Does not budge from it." We WORK not for the Self( 2nd and 3rd house) neither for just our Partners(6 and 7) but Serve and known for our service to all (10th and 11th). We make universal connections and we have universal ideologies (11th house) We believe that now we know everything, we are in the best possible state of consciousness and Awareness and that now we should focus on upliftment via Unification with all Eternity and everything. Isolation, Privacy, Imagination, Stability, Depth, Meditation, Higher realms, Letting go of worldly connections and affairs, foreign lands and countries, Things out of our view, Bed Pleasures, Spiritualism and Salvation etc. Some may call all these a LOSS but as you can see it is not LOSS. It is our natural instinct and Our Natural life-cycle. Now as you can see, in this 3rd and last phase of the life- cycle, which began in Saggitarious from KETU, we Finally again do what, What do saints or old retired people do, what does EVERYTHING on this planet do in the end. What else everything do, It gives up it's Existance So that it can give birth to something NEW, So that SOmething NEW can Come out of it. We Pass Away so that our Descendant can come and replace us and Guess what USE the same resources that once we used in this world, undergo the same cycle, face the same scenarios and stages of life, We just give up our existence for the new Existence to come into being. Only the Participant changes , There approach to things ( the Ascendant,SUn and Moon) Changes, but the Scenarios, The Situation, the Phases in their life cycle are always Constant and Repeated over and over again and again. As i said HUMANS keep doing the SAME SAME SAME things Generations after Generations , same feelings, Same Demands, Same actions, Same responsibilities and Same thoughts, Only the Characters change. This is Also one of the Reasons why the 12th house also represents Parents. Because Parents are the reason we came into being, and they always Let go of their Personal Interests and Everything important to them for their children to flourish the most and Rise the most into existence because their children will replace them as their legacies. Now in order to have all these characteristics of the 12th house like Meditation, bed pleasures, Spiritualism and Salvation, what do we need. There is finally RESOLUTION and DISSOLUTION of the 3rd phase of life, which we started after gaining higher wisdom and knowledge in Sagittarius and wiser beings. We understand that all this knowledge is also Mortal and Creation of our mind and existence as human beings. We realize that all that we know of, and all this ideology and Social circle and Social order we created and all this knowledge of the Vedas or Scriptures is just a HUMAN Mind's creation and exists till we exist to Observe, interpret and share it. As we go , we are again nothingness and Zeroness in this vast infinite universe. SO Arises SPIRITUALISM and ETERNAL-ISM in our consciousness. The HIGHEST and MOST Mature form of consciousnesses and thinking one can achieve ans an Aware and Intelligent being. "HERE it represent the calm, Deep, Serene and undisturbed waters of depth and WIDE expanse." That needs no change for becoming any better, and come but a Change to let go and attain moksha and leave all attachments and commands to make way or place for the new ones/new beings to come and replace them and re-start the cycle with them. The Creation of the 9th house of higher learning and wisdom is SPIRITUALISM. c) Formation of a New order/Realization/Beginning: As the Parents mate in Privacy and Isolation they give birth to a NEW Being into this Existence. So hey can leave be replaced. This Letting Go is MOST PRONONCED in the 4rth pada of REVATI nakshtra. This Pada represents what you loose in your dasha of a planet in it. Why they are similar in their character to different types or parts of a "Water Body." NOW you know how these 3 are actually the SAME. The only difference lies in the SIGN Energy Which is by Default occupies by 4(Moon, caring and gentle transformation), 8(MARS, aggressive and fiery transformation) and 12(Jupiter, a wiser, Spiritual and aware transformation). Hence here in this article by being as brief as i can i have tried to explain to you how Astrology is an ACTUAL representation of the life cycle of EVERYTHING in this universe including US. How the 4rth, 8th and 12th houses are doing the SAME function at different stages of life. How 4,8 and 12 houses represent Dissolution and transformation while the 1st, 5th and the 9th houses Represent New Beginnings and Realizations of various Kinds. How they all relate to the Nakshtras in their ROOTS! Why they represent what they represent in Astrology! I wish to write and elaborate more and better respectively but i am running out of time as well as my connection to the source energy. God bless me with more connectivity and Wisdom. God bless me and all!!! !